If you ask anybody from Spain about Galicia, the first thing that will come to their mind is the words: FOOD and SEAFOOD. 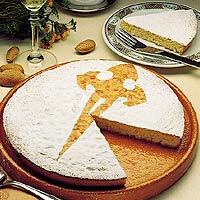 In Santiago you will be able to try many different kinds of traditional Galician dishes. The quality of Galician seafood is recognized internationally. 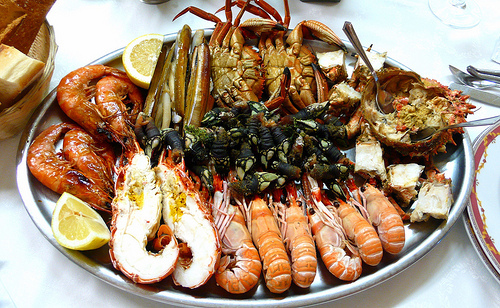 For this reason, in Santiago de Compostela you will be able to eat very fresh seafood with an exceptional taste. As a result, Santiago and Galicia are a paradise for seafood and fish lovers. 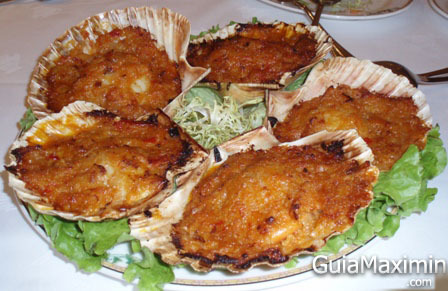 The Vieiras (scallops), symbol of the Camino and carried by many pilgrims along the walk, are another of the traditional dishes that you will be able to try in Santiago. Also, you will be able to try their Pulpo a la Gallega (Galician octopus also called Pulpo a Feira), probably the most representative dish in Galicia. Moreover, you can not miss their oysters, crabs, barnacles, shrimps, prawns, lobster. 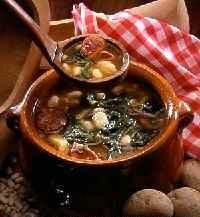 – El Caldo Gallego (Galician Soup): (VERY GOOD!!) made with a typical vegetable from Galicia called Grelo (Similar to Chard)and boiled potatos, also, there are some pieces of Chorizo and some beans (not many of them). common one is the tuna empanada (empanada de bonito), mixed with peppers, onion and other vegetables. 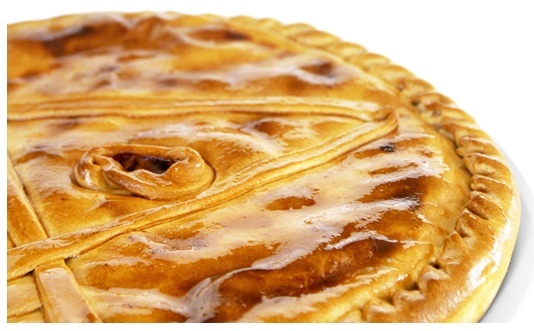 – Tarta de Santiago: There are many traditional sweets, but the most remarkable in Santiago is the tarta de Santiago, cake made of almonds. – Albariño, delicious young white and one of the best in Spain to combine with fish. – Ribeiro, white or red. Young and light, that is generally drunk in mugs instead of cups. 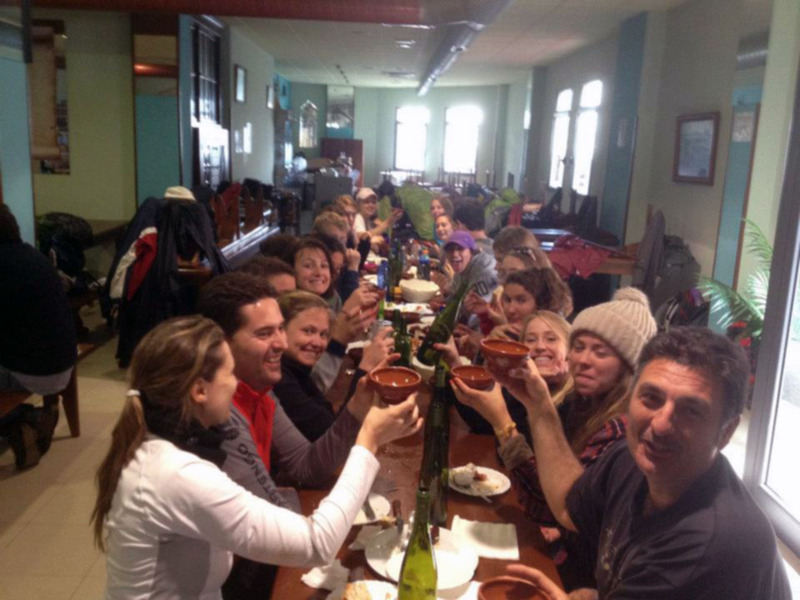 – Other good wines of the area are: Fefiñanes, Betanzos, Rosal, Valdeorras, Ulla y Amandi, all of them are good complements of the amazing Galician cuisine. 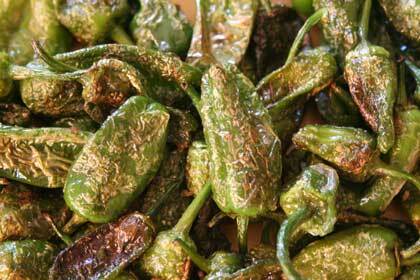 – Pimientos de Padron, “some are spicy, some are not”. They are small green peppers that we deep frie until they get a golden colour and we add salt on them before eating them. 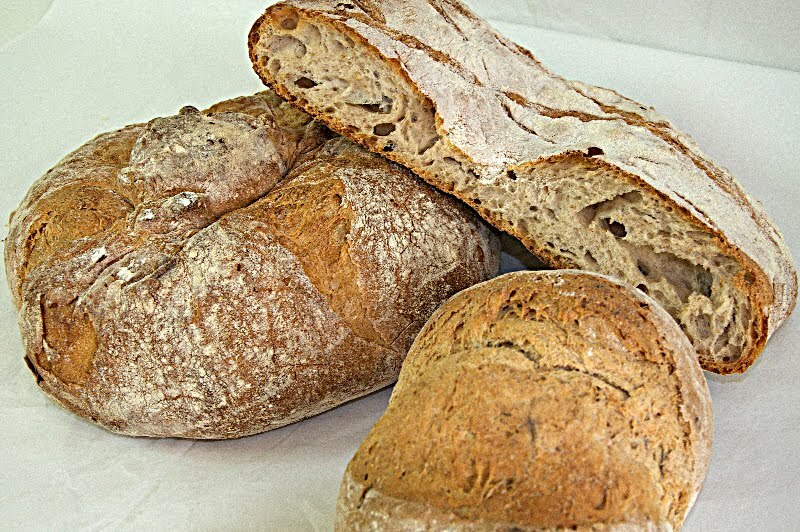 – Galician bread: If you are a bread lover, you can not leave Galcia without trying their handmade bread. There are different kinds, but they all have a round shape and some have a hole in the middle (like a big donut) and some are just very big buns. They are covered with flower, and they generally last for some days, before they get bad. They are very spongy in the inside and tasty crust on the outside. Are you worried about walking alone the Camino de Santiago? You shouldn’t have worries. One of the best things along the Camino is that you will meet dozens of people of all ages who were doing it as you. You will walk in company or alone as you choose every day. One of the genuine joys of the Camino is the spontaneous acquaintances who may become friends for the rest of your life. It is very common to meet other pilgrims along the way and walk with them in a group every day. All of you will share conversations or companionable silence not only walking, but also on the table having lunch or dinner in local restaurants, in the same ‘albergue’ or hotel. 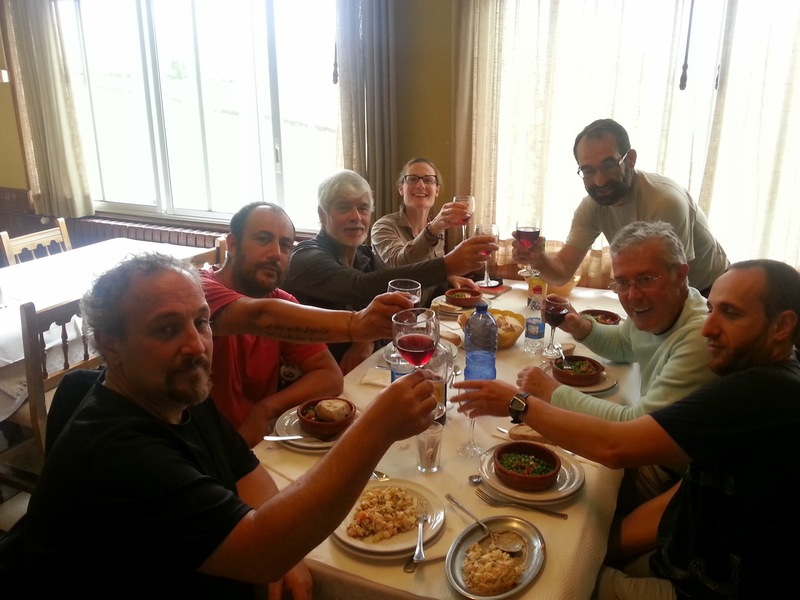 Some pilgrims explain their Camino experience like a travelling community connected by common intentions. You won’t be alone in the Camino. Nowhere is easiest to make friends. However, if you are not sure and you prefer to join a group of pilgrims from your first stage, we can customize the perfect guided tour for you. At Creative Travel we can organize guided tours in groups, either walking tours or horse riding tours. You will be able to join a group of a maximum of 15 to 20 people that like you, prefer to do it accompanied. The guided tours are available in specific weeks in between April and October. You might be (or not be) familiar with “The game of the Goose”. It is a well-known game among people in Europe, and it has been played for Centuries. The game, consists of a board. On it, there is a spiral-shaped track divided by around 63 numbered spaces. The game is very simple. Basically, the players have to role the dice and move their piece forward. Each space, has an image on it, depending on where the piece falls, there might be some rules to follow (role your dice again, go back to the start,advance a specific number of spaces…) It is called “The game of the goose” because many of the spaces on the track have a goose on it. If your piece falls on one of these spaces, then it means that you can role your dice again. There are different theories that try to explain the origin of the famous “Game of the Goose”. 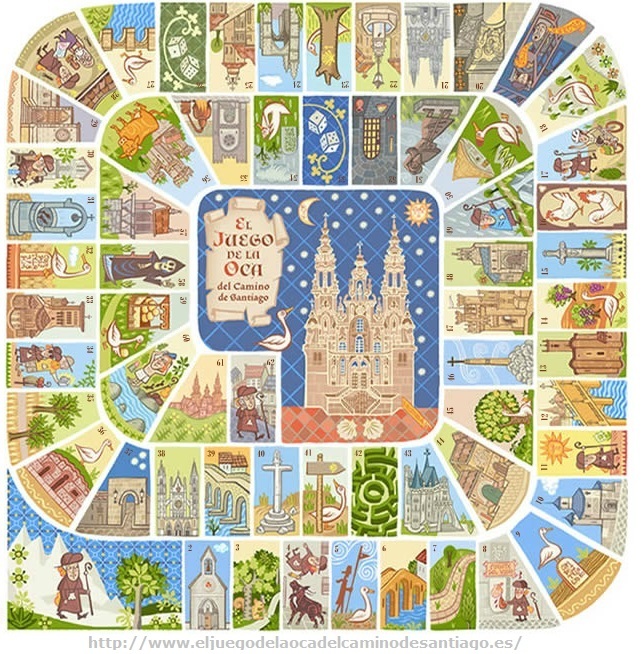 One of these theories states that, the game was created by the Templars, and it would not only be a game but also a secret or encrypted guide to the Way of St. James (Camino de Santiago). Each numbered space would represent a stage of the Camino. What makes it more exciting is that, hidden messages would be not only on the board but also on the monuments along the way. And why or how did they come up with this theory? Formerly, geese were house guardians by warning their owners of the presence of intruders. Also, gueese were considered as sacred guides, sent to advise humanity. Wild geese have their seasonal and stable migration routes, and they have defined the known “Way of the gueese“. This way matches with The Camino de Santiago (Way of Saint-James) and “The Way of the Stars”. It is believed that because pilgrims didn’t have maps, they used to follow natural indications to make their way to Santiago de Compostela. For this reason, it would make sense that pilgrims followed “The geese route” during the day and were guided by the stars at night to get to Santiago de Compostela. Along the way, it is common to find the symbol of “the leg of the goose”. According to Carlos Sanchez-Montaña, specialist in Romanesque architecture, the board is a map, what today we can understand as a travel guide. This guide leads us through the ancient “Callis lanus”. The “Callis lanus” route between Cabo de Creus and Touriñan, was divided in 63 stages (15 Miles each), that correspond the 63 stages of “The game of the Geese”. 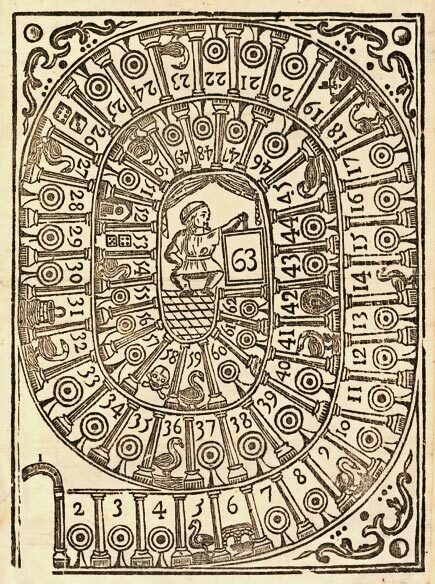 Because of the christianization and transformation of the way, people who knew the original way decided to preserv it in the form of a board-game. To make sure that pilgrims would get to Santiago safe, the creators of the game included a number of dangers on it, that according to Sanchez – Montaña, corresponded with real difficult places along the way, some of them located in Castilla y Leon.